Holy Moly. Where the heck did summer go? This year is flying by. I always love September because it is my birthday month, we finally get a break from the hot Texas summer and fall racing season is upon us. It's the most wonderful time of the year. In celebration of my birthday, I scheduled something special for each weekend in the month of September to relax and to take care of myself. Self-care is so important. In our crazy lives we'd all do well to take some time on a daily or even a weekly basis for the things that nourish our soul. On September 2nd I am going in for a Cryo Therapy appointment. We've been working out hard lately and my old-lady joints and muscles can always use a boost in recovery. September 9th I scheduled a 90 minute massage with my favorite sports massage therapist. He's a miracle worker. September 16th I scheduled a hair appointment because when you look good, you feel good, right? I swear my hair stylist has super-human abilities. He wrangles my rat's nest mess of a head into smooth and shiny locks. September 23rd I want to go stand up paddle boarding. I've been wanting to do this for years and I figure my birthday weekend is the perfect opportunity to make hubby take me try something new. September 30th I'll get a pedicure because these runner's feet need some love too. One way to practice self-care is to move your body. No, I don't mean join the local CrossFit box for their 5am workout five days a week or start training to run a marathon (unless you feel so inclined). I just mean get your #assoffthecouch and do what feels good. I like this 30 Day September challenge because sometimes the hardest part of all is getting started. This is an affiliate link, which means if you register and use my discount code I make a small percentage of the sale with no additional cost to you. No one is getting rich here, it just helps with the running (pun intended) of this blog. Thanks, as always, for your support. It's an online challenge designed to help you with the hardest exercise of all, getting your #assoffthecouch. The coupon code 7021mgtx gives you 30% off. Your cost is only $11.90. Over $300.00+ in prizes will be given away to participants. Of course, self-care doesn't have to be about doing things that cost money. Take a bubble bath, read a book, turn off your cell-phone for a day, go for a hike, play with your dog, chat with a friend, sleep in, write in a journal, even indulge in your favorite show...whatever it is that makes you feel like you. 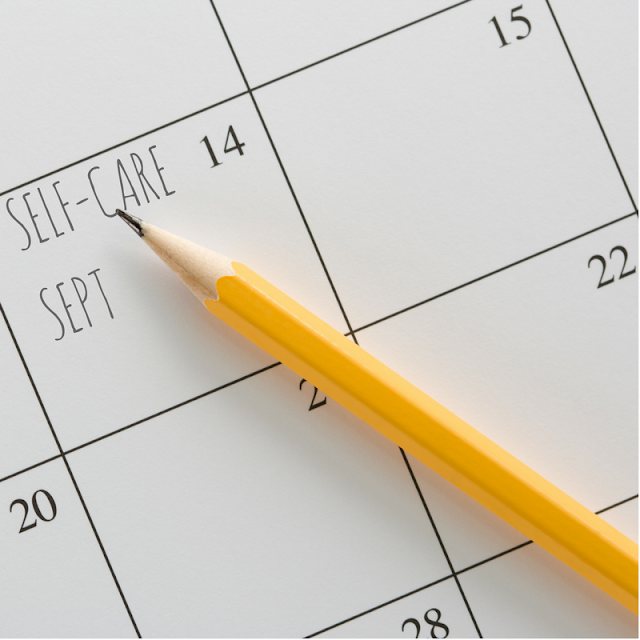 Will you join me for self-care September? Or the #getoffyourass challenge? p.s. we have a winner for my Momentum Jewelry #Iamempowered bracelet. Congrats Missy B!